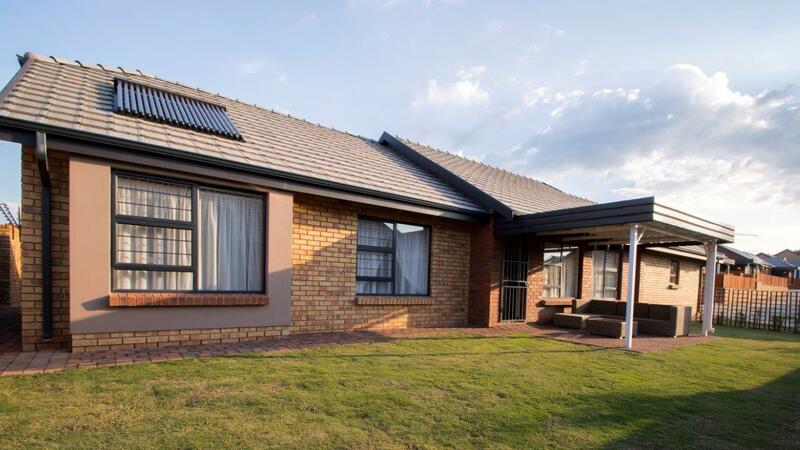 HOUSES TO RENT FROM R 8500p,m. Full ownership, No life right! 24 hour State Of The Art Security with patrolling guards on Site. All costs included buy directly from the developer. Each individual unit, from the three bedroom houses to the bachelor apartments, is connected to the service centre, administration block and security office by means of a technologically advanced communication system. Immediate assistance is therefore never further away than the push of a button! Our show houses are available for viewing 7 days a week from 9:00AM till 17:00PM Mondays to Sundays!